Greetings! This is the New York Rare Bird Alert for Friday, September 28, 2018 at 8 pm. The highlights of today’s tape are NORTHERN FULMAR, RED PHALAROPE, CHUCK-WILL’S-WIDOW, MANX and other SHEARWATERS, POMARINE JAEGER, BLACK-LEGGED KITTIWAKE, HUDSONIAN GODWIT, BAIRD’S SANDPIPER, CERULEAN, YELLOW-THROATED and CONNECTICUT WARBLERS, YELLOW-BREASTED CHAT, LARK and CLAY-COLORED SPARROWS and DICKCISSEL. The storm Tuesday that produced very heavy rains also provided some interesting birds locally. A sea watch conducted at Riis Park Tuesday morning was highlighted by a NORTHERN FULMAR passing well offshore, other notables including 2 GREAT SHEARWATERS and 3 PARASITIC JAEGERS. Two RED PHALAROPES also dropped down Tuesday onto Hillview Reservoir in Yonkers, where they were nicely photographed. Unfortunately this reservoir, part of the NYC water supply, is not open to visitors. Off Robert Moses State Park on Fire Island Tuesday there were 1 MANX, 10 CORY’S and 5 GREAT SHEARWATERS, 11 NORTHERN GANNETS and a PARASITIC JAEGER. A watch off Sagg Main Beach in Sagaponack that morning produced 72 CORY’S, 3 GREAT, 1 late SOOTY and 4 MANX SHEARWATERS, 26 NORTHERN GANNETS, 10 PARASITIC JAEGERS and an immature BLACK-LEGGED KITTIWAKE. The latter was not the first KITTIWAKE locally this fall, with another immature photographed off Fort Tilden last Saturday. Another watch Tuesday from Old Inlet just west of Smith Point Park recorded 25 CORY’S and 2 GREAT SHEARWATERS, a PARASITIC JAEGER and 60 ROYAL TERNS. And also eye-opening on Tuesday were gatherings of LESSER BLACK-BACKED GULLS along Long Island’s south shore, with 61 counted both at Jones Beach West End Field 2 and at Robert Moses State Park and another 60 noted at Old Inlet. Most of these were well dispersed the next morning. A POMARINE JAEGER was spotted off Great Gull Island last Sunday, and today Jones Beach Field 6 netted a GREAT SHEARWATER, a PARASITIC JAEGER and 3 CASPIAN TERNS. Shorebirds this week featured an AMERICAN GOLDEN-PLOVER at Fort Tilden Saturday, 1 or 2 BAIRD’S SANDPIPERS at Breezy Point last weekend, and 3 HUDSONIAN GODWITS on the East Pond at Jamaica Bay Wildlife Refuge Monday along with 6 STILT and 3 PECTORAL SANDPIPERS, 2 LONG-BILLED DOWITCHERS and a CASPIAN TERN. Five WHIMBRELS were at Fort Tilden last Saturday and again Thursday, and 6 LONG-BILLED DOWITCHERS continue at Santapogue Creek in West Babylon. A CHUCK-WILL’S-WIDOW was a great find in the Ramble in Central Park last Saturday, and the week there provided a number of other good sightings as well, including a male CERULEAN WARBLER from last Friday into Saturday, a CONNECTICUT WARBLER and a CLAY-COLORED SPARROW last Sunday, a YELLOW-BREASTED CHAT on Wednesday, and at the north end a LARK SPARROW Thursday and today and a DICKCISSEL today. Other species this week in Central and other regional parks have included both YELLOW-BILLED and BLACK-BILLED CUCKOOS, PHILADELPHIA VIREO, LINCOLN’S SPARROW, PURPLE FINCH, and a decent variety of WARBLERS including TENNESSEE, BAY-BREASTED, CAPE MAY, WORM-EATING, and WILSON’S. A YELLOW-THROATED WARBLER was quite a surprise at the Grumman grasslands complex in Calverton last Saturday. 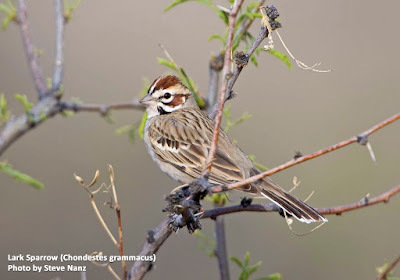 Another DICKCISSEL was at Robert Moses State Park last Saturday, and a LARK SPARROW was spotted at Floyd Bennett Field Sunday. A CACKLING GOOSE at Bay County Park in East Rockaway Sunday was somewhat early. Two RED-HEADED WOODPECKERS were still in Connetquot River State Park last Sunday. A nice flight of over 5,000 BROAD-WINGED HAWKS passed over the Greenwich Audubon hawk watch last Saturday, heading into Westchester. 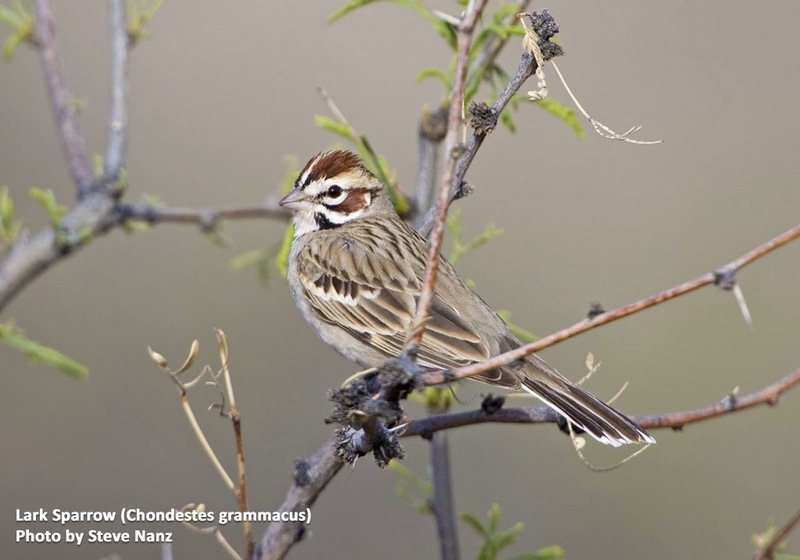 The Lark Sparrow is one of the only sparrows seen around Brooklyn that is unlikely to be mistaken for anything else. It’s large size and bold head pattern is distinctive. This sparrow breeds, primarily, west of the Mississippi, however during the Fall migration they are a rare migrant along the east coast. 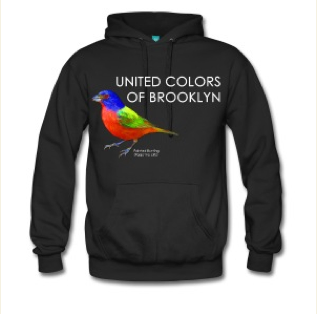 One of my favorites, I’ve seen this beautiful sparrow in Brooklyn a handful of times in the past 25 years. Three of those times in Green-Wood Cemetery. Is sparrow ID giving you trouble? 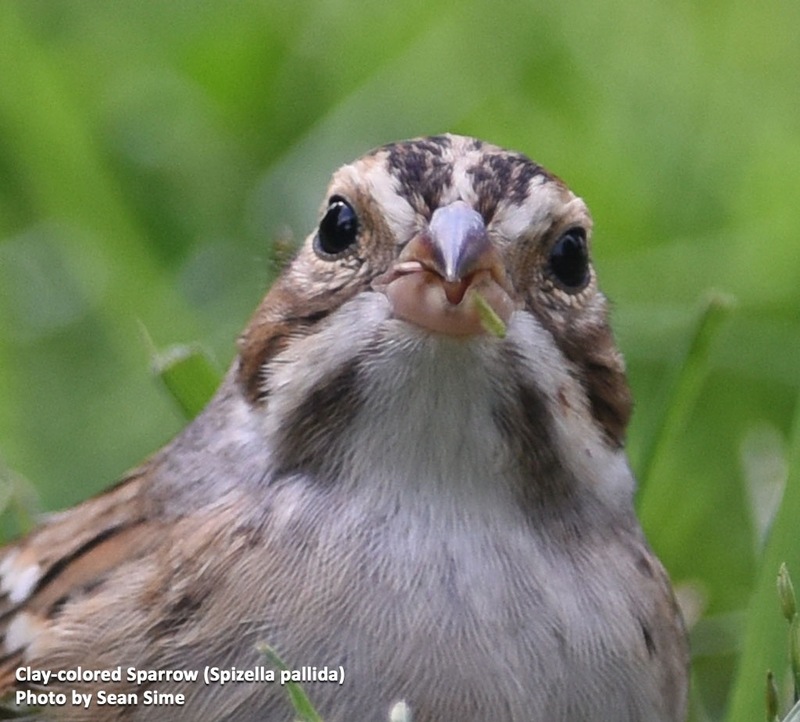 Join me for my two part sparrow identification class at Green-Wood Cemetery. Click here for more info or to sign up. Innovations in science and technology led by forward-thinking companies and governments are key to avoiding this disaster scenario. The Foresight Future of the Sea authors highlight the role that this ocean economy will play in helping us understand and solve long-term issues affecting the sea. The ocean economy represents all organizations and companies that operate directly or indirectly in the marine environment, from shipping and fishing businesses to offshore renewable energy farms and plastics recycling operations. When it comes to reducing ocean plastic pollution, though, the most effective innovations could be implemented on land. After all, prevention is better than cure. The report states that the major response to ocean plastic pollution is likely to lie in preventing it from entering the sea. We need to reverse these figures recycling more plastic, more effectively. At TOMRA we believe in a dual approach, optimizing both the collection and sorting of plastics. Firstly, the challenge is to increase recycling rates among consumers, which can be achieved using container deposit schemes and reverse vending machines. For effective recycling or reuse of plastic bottles as well as other used containers such as cans and glass bottles reverse vending machines provide automated collecting, sorting and handling. Once collected, the resources need to be efficiently separated through automated sorting. Highly advanced technology at waste management centers can precision-sort various types of waste, ensuring the highest possible yield from recyclable materials. TOMRAs revolutionary technology such as Autosort, Combisense and X-Tract sorters plays a key role in optimizing resource productivity, particularly in waste management and recycling, where sensor-based technology can be used to increase precision and streamline processes. Current forecasts for the future of the sea make for difficult reading but it doesn't have to be this way. To achieve the ambitious aim of reducing and eliminating ocean plastic waste, we need to implement state-of-the-art approaches that push boundaries. It may seem counter intuitive, but a key part of the ocean economy's solution could come from sensor-based sorting technology on dry land in supermarket entrances and recycling sorting centers. Join birder Doug Bloom and Naturalist Tait Johansson for an outing focused on fall migrant birds. Level of Difficulty: Easy-moderate. Register with Susan Fisher at info@bedfordaudubon.org or 914-302-9713. Late fall migrant bird walk around the two lakes in full autumn color. Migration Along the Barrier Islands, L.I. The Pollinator/Monarch Festival is a NYC Audubon partnership program with American Littoral Society and Gateway National Recreation Area. This special parking lot is accessible by heading west from the southwest corner of the Tobay Beach parking lot. After bird banding demonstration at the JFK Preserve, participants may consider going to Jones Beach Coast Guard Station as a leaderless walk. For the FULL INFORMATION ABOUT EACH WALK click HERE to take you to the Eventbrite Profile page where you will find all details (scroll down to the thumbnails) for each of the outings and how to SIGN UP ! Our Urban Park Rangers will guide you to the best wildlife viewing spots in New York City. Wildlife viewing is a perfect activity for any age. Greetings! This is the New York Rare Bird Alert for Friday, September 21, 2018 at 11 pm. The highlights of today's tape are WHITE IBIS, MISSISSIPPI KITE, MARBLED and HUDSONIAN GODWITS, BUFF-BREASTED and BAIRD’S SANDPIPERS, CONNECTICUT and CERULEAN WARLERS, LARK and CLAY-COLORED SPARROWS, BLUE GROSBEAK, DICKCISSEL and more. This week’s two most unusual reports both involve rather brief sightings, first an adult WHITE IBIS flying north over JFK Bird Sanctuary at Tobay late Sunday morning and then an adult MISSISSIPPI KITE moving south over Clove Lakes Park on Staten Island Monday morning – neither have been reported since. A WESTERN KINGBIRD found Saturday at the Alley Pond Environmental Center did stick around for the day, unlike the one only seen in flight at Jones Beach West End Wednesday morning. Single MARBLED GODWITS last Sunday out in Jamaica Bay and at Cupsogue County Park in Westhampton Dunes were followed by five together on the bar east of the Jones Beach West End Coast Guard Station on Thursday afternoon. HUDSONIAN GODWITS included one on the sod fields off Route 51 in Centerport Sunday increasing to two by Thursday, these fields just east of Route 111, another HUDSONIAN at Mecox Inlet Wednesday and Thursday, and one in Eastport today. A BUFF-BREASTED SANDPIPER at Heckscher State Park Saturday was followed Sunday by two on the Route 51 sod fields and another briefly at Cupsogue, and a BAIRD’S SANDPIPER was spotted out at Breezy Point this morning. Four WHIMBRELS were out on the Jamaica Bay islands last Sunday, two again today. Two AMERICAN GOLDEN-PLOVERS were at Mecox Wednesday and Thursday, with two more at Heckscher Thursday, and six LONG-BILLED DOWITCHERS were among the Santapogue Creek shorebirds present off Venetian Boulevard in West Babylon last Sunday. Last Saturday at Mecox there were six CASPIAN, fourteen ROYAL and four BLACK TERNS, with six more ROYAL TERNS at Brooklyn’s Plumb Beach, and today two CASPIAN TERNS visited Playland Park in Rye. A MANX SHEARWATER was in Long Island Sound just west of Montauk Point last Monday, with a few CORY’S SHEARWATERS also noted there, and two CORY’S off Mecox yesterday were joined by three PARASITIC JAEGERS. Two SORAS were at the south end of the East Pond at Jamaica Bay Wildlife Refuge last Sunday, and a VIRGINIA RAIL visited Prospect Park Wednesday. Among the birds noted during a morning flight on Wednesday at Robert Moses State Park were an UPLAND SANDPIPER and three DICKCISSELS. Several reports of PHILADELPHIA VIREOS this week included singles last Saturday at Coney Island Creek, Jones Beach West End and Southards Pond in Babylon, with birds also in Central and Prospect Parks this week. A BLUE GROSBEAK stayed at Jones Beach West End from Saturday to at least Thursday. A CLAY-COLORED SPARROW was found at Brooklyn’s Green-Wood Cemetery on Wednesday, and single LARK SPARROWS were noted in Brooklyn at Calvert Vaux Park last Saturday and at Owls Head Park yesterday. An adult male CERULEAN WARBLER was a surprise in Central Park Thursday, and CONNECTICUT WARBLERS this week were reported at Heckscher State Park Saturday and Floyd Bennet Field Sunday, while the good variety of additional WARBLERS also included WORM-EATING and ORANGE-CROWNED among the more expected species. A YELLOW-BREASTED CHAT was seen in Central Park last Saturday as well as yesterday and today at the north end. Besides at Connetquot River State Park, single RED-HEADED WOODPECKERS were noted on Wednesday at Fort Tilden and Croton Point Park. Other notable migrants this week featured YELLOW-BELLIED SAPSUCKER, BLUE-HEADED VIREO, more PURPLE FINCHES, and a good variety of HAWKS including some BROAD-WINGEDS, with the bulk of these moving well inland this year. I spotted this lovely Clay-colored Sparrow yesterday nibbling on grass on the ridge adjacent to the Sylvan Water in Green-Wood Cemetery. 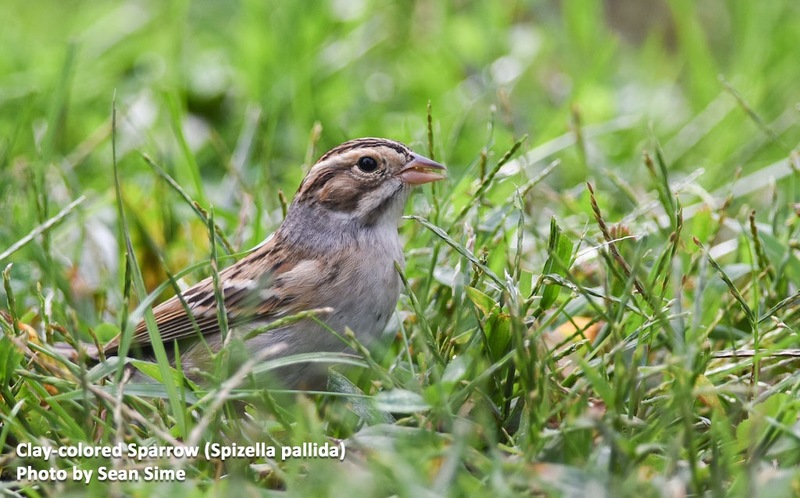 Slim and small-billed, this pale colored sparrow is an uncommon visitor around Brooklyn during migration. Migrating primarily through the Great Plains, small numbers occasionally stray into the east coast. I also stumbled on one during one of my Spring migration tours on the opposite side of the Sylvan Water. Here's an amazing, straight on close up photo. A big thanks to Sean Sime for tolerating swarms of mosquitoes while lying on his stomach in the grass just to get this shot! When I was in London in February 2017, there was a marathon taking place on a cold Sunday morning. The race was wrapping up by the time I wandered into Trafalgar Square, but there was a still a huge crowd, barricaded streets, and, to my horror, piles of empty plastic water bottles everywhere, heaped in the gutters and sprinkling the pavement. As I walked south along Whitehall, street cleaners were already hard at work, but there was hardly a place to put a bottle, as every trash and recycling bin was overflowing. So I was happy to hear about the Harrow Half Marathon's efforts to go plastic-free. Organizers of the 13.1-mile marathon, which is set to take place this Sunday, September 16, decided that no single-use plastic water bottles will be allowed. Instead, runners will be handed Ooho pouches for hydration at three different stations along the route. These are small clear bags made from a seaweed-based membrane (brown algae and calcium chloride) and filled with filtered water. You nip the corner and drink the contents, or ingest the whole thing, as it's entirely biodegradable and safe. Ooho, which has the catchy tagline "Water you can eat!" has been covered before on TreeHugger's sister site MNN. It is a clever invention that's remarkably simple and cheap to make. Ooho has won awards for design and environmental technology, and surpassed its fundraising goals in the early stages of development. It's an idea that could make a real difference in the fight against superfluous plastic waste, which is awesome. But regarding the Harrow race specifically, a few things concern me. First is the absence of any water bottle refill stations. The Guardian writes, "Runners will not be able to refill their own bottles. Regular water and biodegradable cups will be available but only as a backup in case of exceptionally high demand." I imagine this is to discourage people from bringing single-use plastic water bottles and refilling those, but for those runners who have high quality reusable bottles that they use all the time, it seems inconvenient and even counterproductive. Secondly, the official directions on the Harrow Marathon site say that runners can either "swallow the sachets as they are edible or simply throw them away – our volunteers will sweep them up – or they will degrade in a few weeks. The choice is yours." This is an oddly nonchalant attitude to littering, even if a product is biodegradable within 4-6 weeks. If I were eating a banana, for example, I wouldn't pitch it on the sidewalk and assume it will disappear. Streets, roads, and trails should be kept as clean as possible, regardless of an item's biodegradability. Focus: Late migrant warblers and early sparrows in the morning at Green-Wood and an afternoon of resident local beers at the nearby Five Boroughs Brewery in Sunset Park. Will include a free brewery tour and a visit to sample offerings in the taproom at the participants’ expense. Central Park is a wonderful destination for fall birding! Join Katie on the LIRR train leaving from the Ronkonkoma train station at 5:35 am or meet her in the city at West 72nd and Central Park West at 7:30 am. There will be opportunities for coffee, food and bathrooms at The Boathouse in the park. We can plan on taking a 1:00 or 2:00 p.m. train home, but you can leave earlier or stay longer if you wish! In addition to buying a train ticket, you will need to purchase 2 rides for the MetroCard/Subway. Please email Katie at katiekleinpeter@gmail.com so she knows to look out for you. Celebrate the beginning of fall with our annual equinox walk. Look for signs of the changing season and usher in the cozy time of year. Meet at Robert Moses State Park parking Field #5 northeast corner. May require parking fee. A great place to catch the fall raptor migration. 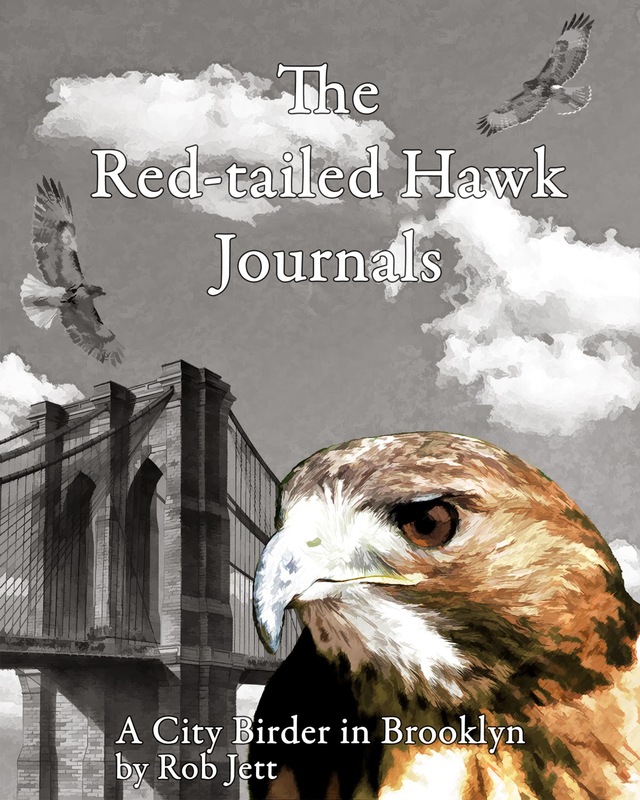 One of the easiest hawk watches – just roll out of your car and take a seat! The Center is beautiful and has a wonderful gift shop as well as beautiful grounds for further exploration. Directions: Hutchinson Parkway North, exit to I-684 North. Take this to exit 3N and head north onto Route 22. At the first light, turn right onto Route 433. Drive 2 miles to the stop sign at the intersection of John Street. The Audubon entrance gate is on your left. Call 631-885-1881 to register. Enter from Northern Blvd and West Rd - head south on West Rd. Proceed up the hill, and follow sign to the NYIT de Seversky Mansion on right. Park in big lot across from mansion. Wear water-resistant footwear, bring binoculars and drinking water. From the Southern State Parkway, exit onto the Meadowbrook State Parkway south. After entering Jones Beach State Park, exit right (west) into the West End. Continue west to West End 2 parking lot; we meet in the northeast corner of the lot. From the Wantagh State Parkway, travel south. Upon entering Jones Beach State Park, exit at Bay Drive and continue west to West End 2 parking lot; we meet in the northeast corner of the lot. Our Urban Park Rangers will guide you to the best viewing spots in New York City to see fall migratory birds. September 9, 2018, 11:02 a.m. According to a statistical analysis conducted by BirdLife International and published in the journal Biological Conservation, five of the eight likely extinctions occurred in South America, the result of deforestation. 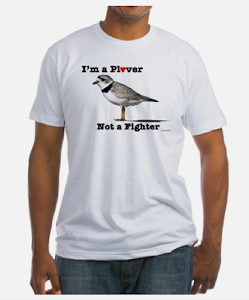 This bucks the trend of small-island birds going extinct due to invasive species or hunting. "People think of extinctions and think of the dodo, but our analysis shows that extinctions are continuing and accelerating today," Stuary Butchart, the chief scientist for BirdLife International, told The Guardian. "Historically 90 percent of bird extinctions have been small populations on remote islands. Our evidence shows there is a growing wave of extinctions washing over the [South American] continent driven by habitat loss from unsustainable agriculture, drainage and logging." BirdLife conducted an eight-year study of 51 critically endangered bird species, weighing three factors: intensity of threats, timing and reliability of records and the timing and quantity of search efforts for the species. 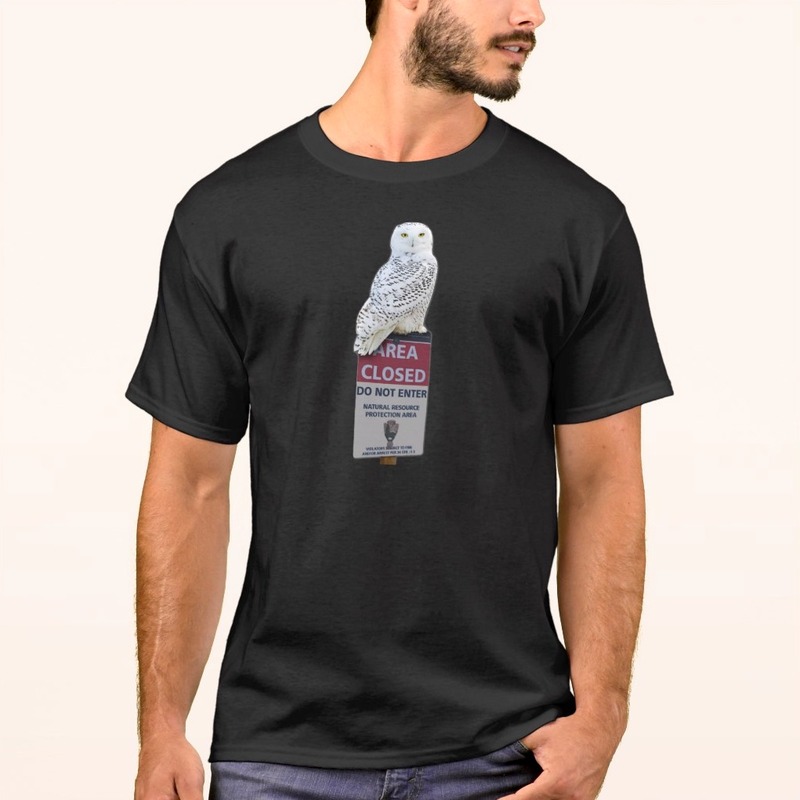 They then applied this approach to those species and concluded that their methods not only aligned with the status of many birds on the International Union for Conservation of Nature's (IUCN) Red List, but that some of those birds needed to be reclassified as extinct. The reclassification of those birds was pending based on the outcome of the BirdLife study. Three of the species were deemed extinct, one extinct in the wild and the remaining four are either incredibly close to extinct if they aren't already. The three species that were deemed extinct were the the Brazilian cryptic treehunter (Cichlocolaptes mazarbarnetti), the Brazilian alagoas foliage-gleaner (Philydor novaesi) and the Hawaiian black-faced honeycreeper (Melamprosops phaeosoma), also known as the poo-uli. These species were last seen in 2007, 2011 and 2004, respectively. The Spix's macaw (Cyanopsitta spixii) was classified as being extinct in the wild. The bird was featured in the 2011 animated film "Rio." 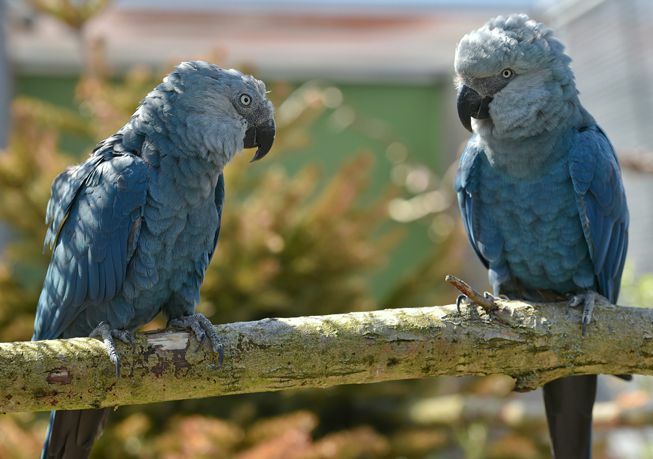 That movie chronicled the story of two fictional macaws, one captive and one wild, breeding together in an effort to save the species (but in a family-friendly way). BirdLife's study indicates that the species like went extinct in the wild around 2000, making the plot of "Rio" a little bit late. Only 70 individuals exist in captivity. BirdLife has recommended that the remaining birds — the glaucous macaw (Anodorhynchus glaucus), the Pernambuco pygmy owl (Glaucidium mooreorum), the New Caledonian lorikeet (Charmosyna diadema) and the Javan lapwing (Vanellus macropterus) — be reclassified as critically endangered (possibly extinct) as none of them has been seen since before 2001. This classification is considered an extremely cautious one, according to Butchart, since it basically means the birds are extinct. However, classifying the birds as extinct could lead to conservation efforts being abandoned, something that could hasten the birds' demise. "We've got limited conservation resources so we need to spend these wisely and effectively. If some of these species have gone, we need to redirect these resources to those that remain," Butchart told The Guardian. Note: This is a MEMBERS ONLY weekend trip. This trip leaves Thursday late afternoon/early evening; members who wish to come later can opt for Friday morning departure. Discuss with the registrar. Meet at the Nature Center. We will look for birds, butterflies, dragonflies and nature. Experience the thrill of viewing New York's premier predators live and up close.Join NYC Parks at the annual Raptor Fest hosted by the Urban Park Rangers, Friends of Van Cortlandt Park and NYC Audubon. The event is free to the public and will include live demonstrations and education/activity tables. Activities are provided by the Urban Park Rangers; live flying demonstrations by Skyhunters in Flight, This event is a great way for kids to learn about birds of prey, get up close and personal with them, and watch them perform amazing aerial feats. Guides: Gabriel Willow, Christopher Girgenti of Randall's Island with Randall's Island Park Alliance, Inc.
$10 PARKING FEE per vehicle payable upon entry to Sands Point Preserve. Join us to explore this incredible natural resource in the heart of NYC. Please make a reservation. We will meet in the parking lot at Vermont Place. Experience the thrill of viewing New York's premier predators live and up close. Activities are provided by the Urban Park Rangers; live flying demonstrations are presented by Skyhunters in Flight. Greetings! This is the New York Rare Bird Alert for Friday, September 7, 2018 at 9 pm. The highlights of today's tape are WESTERN KINGBIRD, MARBLED and HUDSONIAN GODWITS, BUFF-BREASTED and BAIRD’S SANDPIPERS, WILSON’S PHALAROPE, EURASIAN WIGEON, POMARINE JAEGER, MANX SHEARWATER, LARK SPARROW, CONNECTICUT and GOLDEN-WINGED WARBLERS, and YELLOW-BREASTED CHAT. Though shorebirds continue to garner much of the birding attention locally, the inevitable shift is on its way, as exemplified by a WESTERN KINGBIRD that was photographed at the Oceanside Marine Nature Study Area last Saturday morning. At Jamaica Bay Wildlife Refuge, despite continuing high water on the East Pond, birders were treated this week to a MARBLED GODWIT at the south end and two HUDSONIAN GODWITS and a WILSON’S PHALAROPE at the north end through the holiday weekend, including Monday. Other shorebirds included a LONG-BILLED DOWITCHER spotted on Monday as well as a decent number of STILT and WHITE-RUMPED SANDPIPERS, a few WESTERN SANDPIPERS, and an occasional PECTORAL SANDPIPER; other highlights featured a SORA at the north end Thursday, up to three CASPIAN TERNS mostly at the north end, especially early in the week, and among a good and increasing variety of waterfowl, a drake EURASIAN WIGEON in transitional plumage spotted Tuesday on the East Pond. Three WHIMBREL were out on Yellow Bar Hassock in Jamaica Bay on Monday. Out on the sod fields along the east side of Doctors Path north of Riverhead a BUFF-BREASTED SANDPIPER showed up last Sunday, and one was still there today, but a single BAIRD’S SANDPIPER found there was apparently only seen Monday. An adult AMERICAN GOLDEN-PLOVER continued on the Route 51 sod farm in Centerport, just east of Route 111, at least to Sunday; more should be arriving soon. Finishing the shorebirds, two MARBLED GODWITS were still at Cupsogue County Park in Westhampton Dunes last Saturday, when a BAIRD’S SANDPIPER was also seen near the open Mecox inlet, and an HUDSONIAN GODWIT visited Mecox yesterday. Notably, the Eastern Long Island sites, at least early in the week, were most productive for seabirds. At Mecox Saturday an ocean watch produced a modest 25 CORY’S SHEARWATERS compared to the estimated 300 off there Sunday morning along with a late SOOTY SHEARWATER, but Saturday provided the better JAEGER show with an estimated 10 PARASITICS as well as 1 POMARINE. Cupsogue had comparable results, with 50 CORY’S SHEARWATERS Saturday and 272 plus a MANX SHEARWATER on Sunday, while the PARASITIC totals were 5 Saturday and 2 Sunday. 6 BLACK TERNS were also offshore Saturday. Another MANX SHEARWATER was seen sitting off Shinnecock Inlet last Saturday morning, and 65 CORY’S SHEARWATERS and 8 PARASITIC JAEGERS were counted off Sagg Pond in Bridgehampton Sunday. A changing male KING EIDER was still on the east side of Shinnecock Inlet with COMMON EIDERS as of Tuesday. A LEAST BITTERN was spotted at Arshamomaque Preserve in Centerport last Saturday, and two RED-HEADED WOODPECKERS were still at Connetquot River State Park Tuesday. The Randall’s Island LARK SPARROW was still present last Saturday, when other singles were found on Governor’s Island and at Jones Beach West End, another visiting Floyd Bennett Field on Monday. The WARBLER highlight was the CONNECTICUT found today around the south side of the Lake in Prospect Park, where a YELLOW-BREASTED CHAT was photographed last Tuesday. A female-type GOLDEN-WINGED WARBLER was noted in Central Park’s Ramble today, perhaps a continuing bird. Both Central and Prospect Parks produced HOODED WARBLER this week, with a reasonable selection but low numbers of other Warblers also moving through. A Tuesday morning flight witnessed at Coney Island Creek in Brooklyn netted OLIVE-SIDED FLYCATCHER, 26 RED-BREASTED NUTHATCHES, WINTER WREN and 12 species of WARBLERS including CAPE MAY. COMMON NIGHTHAWKS continue to gather in the evenings but will be finishing up soon. Wolves once roamed the continent freely ... but as more and more humans came along and gobbled up the land, as humans are wont to do, wolf populations began to dwindle. Wolves are not good for livestock – and hence, livestock owners have proven to be not good for wolves. Even in places like National Parks, their numbers suffered. In Yellowstone, because of federal and state efforts to reduce predators, the last of the park's gray wolves (Canis lupus) were killed in 1926. 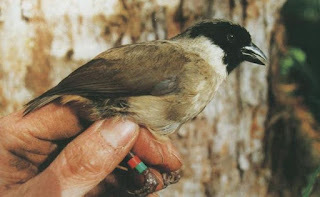 Decades later – once people woke up, hello – the species became one of the first to be listed as endangered. At that point, Greater Yellowstone was named as one of three recovery areas and from 1995 to 1997, 41 wild wolves were released in the park. As of December 2016, there were at least 108 wolves in the park, according to the National Park Service. It hasn't been without controversy, but now a new study reveals some wonderful news. The reintroduction of wolves into the park has led to the recovery of quaking aspen (Populus tremuloides) in the area – a feat that the National Park Service has been trying to achieve for decades. The large-scale study is the first to show that aspen is recovering inside of the park, and in areas around the park as well. And importantly, is a striking reminder of this: If you add to or remove something from an ecosystem, the domino effect can take its toll. In the case of Yellowstone's wolves, once they were gone, the animals they eat began to thrive; namely, elk. In 1995, before wolves were reintroduced, there were nearly 20,000 elk in northern Yellowstone; in January of 2018, there were 7,579. Which may not be good news for the elk as far as they see it, but with elk numbers unchecked, the consumption of aspen skyrocketed. And aspen plays "an important ecological role in the American West," notes the study's authors. Among other things, aspen trees provide habitat for a wide variety of wildlife. The USDA Forest Service explains that, "the aspen ecosystem is rich in number and species of animals, especially in comparison to associated coniferous forest types." The study shows that the return of wolves to Yellowstone indeed could have a cascading effect on ecosystems, Painter says. As you can see in the photo above, which shows young aspen trees in the park which have been growing since the wolves were re-introduced. The older trees in the photo date to the last time there were wolves in the park. “We show that the recovery of aspen is real and significant, though patchy and in early stages, and occurring throughout the region where elk population densities have been reduced,” he says. Join us for a nature walk focused on birds, jointly held with the Hudson River Valley Ramble, near the peak of fall migration. We will be following the Trailway south over the reservoir through woods and shrubland in search of migrants and year-round residents. Meet at the parking lot at the intersection of the Trailway and Route 118 in the Town of Yorktown at 8am - this is just north of where the North County Trailway crosses over New Croton Reservoir. Easy. Please register with Susan at info@bedfordaudubon.org or 914-302-9713. Join Bedford Audubon Naturalist Tait Johansson to explore Central Park, a truly extraordinary “migrant trap” famous for its impressive concentrations of landbirds in spring and fall. We’ll stop at the boathouse for lunch, or bring your own. Meet at Bylane at 6am, or at 72nd St. and Central Park West at 7:15 am. Cost: Free. Level of difficulty: Easy. Please register with Susan at info@bedfordaudubon.org or 914-302-9713. The Fall raptor, songbird and shorebird migration should be well under way, as we meet at the far western end of the main parking lot at Smith Point County Park. We will walk to the Ranger Station for a view from the upper deck. We will then hike westward, toward the New Old Inlet area, then back to the Ranger Station. If there are any birds of note reported in the area of the boat ramp, we shall visit the marina area – just before the bridge – as well. Please dress for the weather and conditions. Binoculars are a must, and scopes are very helpful. This is an exciting time to be along the barrier beach, and hopefully, we will be there on favorable winds and mild weather! For more details, contact Eileen Schwinn at beachmed@optonline.net or call 516 662-7751. Stroll through Green-Wood and you will certainly see (and hear) wild bees going about their daily routine. Female bees are collecting nectar and pollen, and males are busily looking for mates. Bee biologist Sarah Kornbluth of the American Museum of Natural History leads this walking tour to highlight how bees live, the resources they need, and where they make their homes across the cemetery. Learn about the diversity of wild bee species (including bumble, carpenter, miner, leaf cutter, sweat, and more) and beecome a bee expert in just two hours. Comfortable footwear recommended. Brightly colored clothes are discouraged; you’ll get mistaken for a source of nectar. There’s a lot more to a cemetery than death. There’s life – a lot of it. In fact, for Green-Wood, the natural environment is a critical part of our future. Join us for this new walking tour to explore the potential of the Cemetery’s 478 acres as a public garden, a distinction that means much more than manicured lawns and azaleas. It means that we work to teach our visitors about Green-Wood’s ecology and environmental diversity. As an accredited arboretum, the Cemetery has over 7,000 trees and a master plan that includes new interpretive panels (signs) across the grounds. You’ll learn so much about the natural beauty and wildlife at Green-Wood that you’ll want to come back and give your own tour to family and friends! Comfortable footwear recommended. Please note, tour route is on grass and uneven terrain.